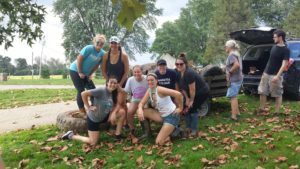 "Conserving and protecting natural areas in the Lower Muskingum Watershed for all to enjoy"
On October 6, 2018 FLMR hosted a Muskingum River Clean-up on our Land Trust property at Devol’s Dam. 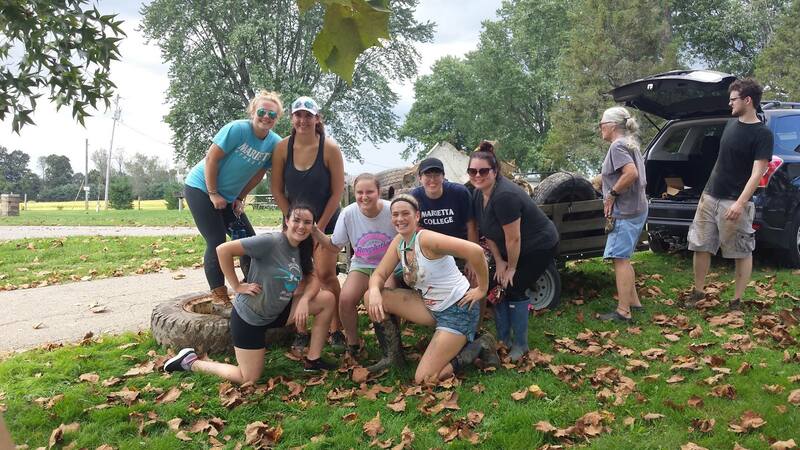 The Marietta College Women’s and Men’s row teams volunteered collecting nearly 60 bags of garbage and recyclable including: tires, a TV, a buoy, a play pool, and MANY plastic water bottles. Recyclable materials were taken to the Marietta Area Recycling Center. Thank you all volunteers at Marietta Area Recycling for sorting and processing river clean-up recycling. Also thank you to all the Marietta College students and staff who volunteered during this event. FLMR staff and members are looking forward to many more river clean-ups. Witnessing so many people involved in an event that made a positive impact on our local environment and beyond was incredible. The human impact that garbage is creating is insurmountable, but the display of care for the environment October 6th shows that it’s possible for humanity to overcome this problem. Please look for information about our fall river clean-ups on muskingumriver.org. Fine way of describing, and fastidious paragraph to get facts concerning my presentation focus, which i am going to convey in academy. Friends of Lower Muskingum River is with Tiffany Harvey. Friends of Lower Muskingum River shared a link.